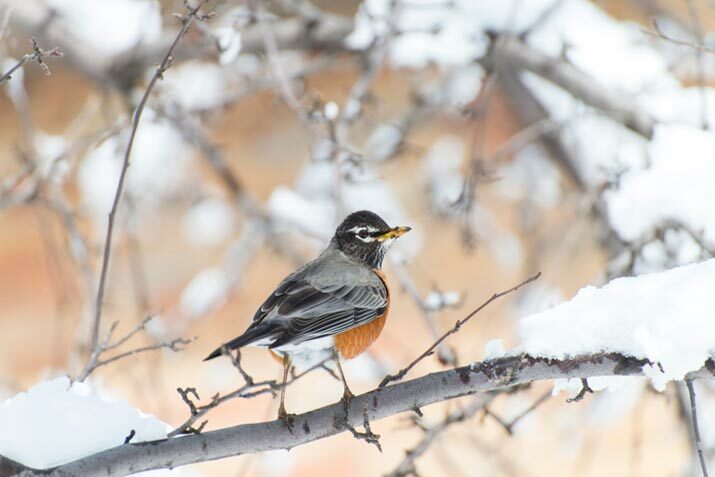 Canadian Wildlife Federation: Do robins overwinter in Canada? Do robins overwinter in Canada? Q. There’s a robin in my backyard and it’s December! What the heck is it doing here? A. While some robins do migrate south for the winter, other robins choose to stay year-round near their breeding areas. In fact, over the past 20 years, researchers are finding that robins are increasingly staying near their breeding grounds. As long as food is available, like fruit producing trees and shrubs, robins can fare quite well! The reason we don’t see them regularly is because they congregate into flocks; sometimes numbering into the thousands and they tend to spend a lot of time roosting in trees. In the spring, these groups split up and we start noticing robins on our lawns again looking for earthworms and other invertebrates.